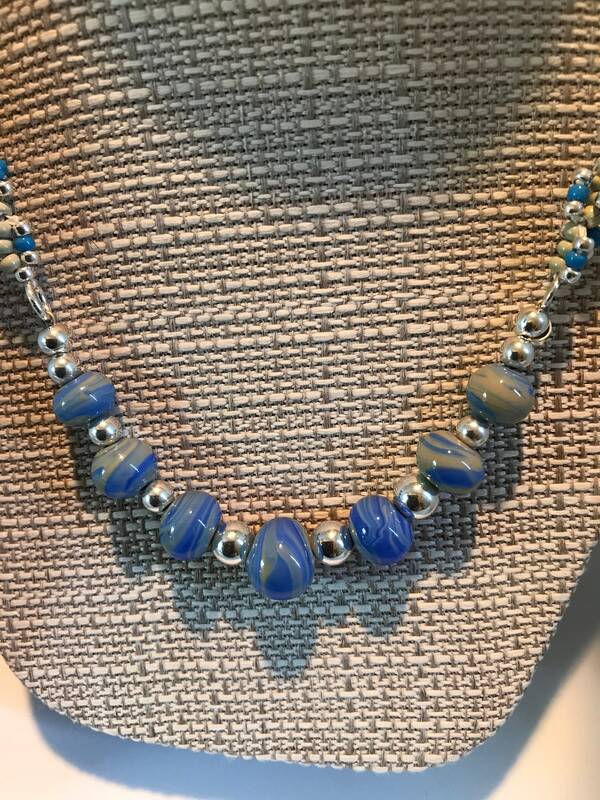 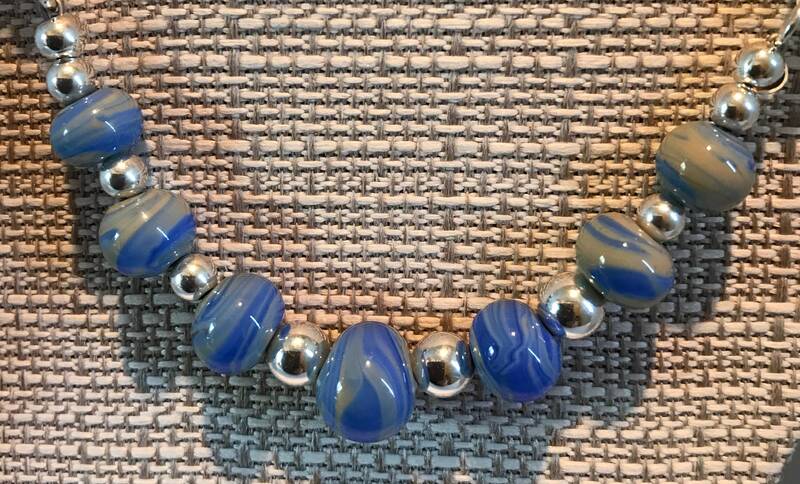 The necklace features blue and beige swirls in round artisan made flame work beads. 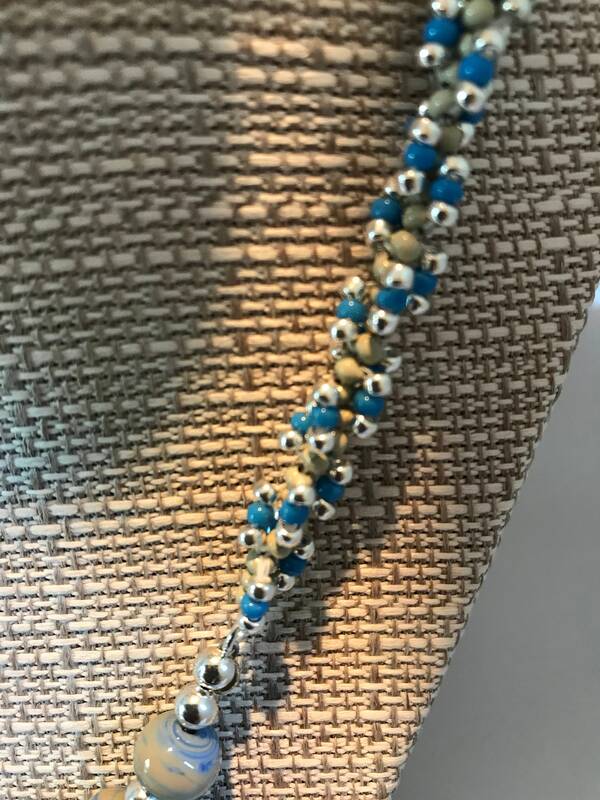 The necklace also uses spiral design of seed beads to form the necklace in the same colors but using silver as well. 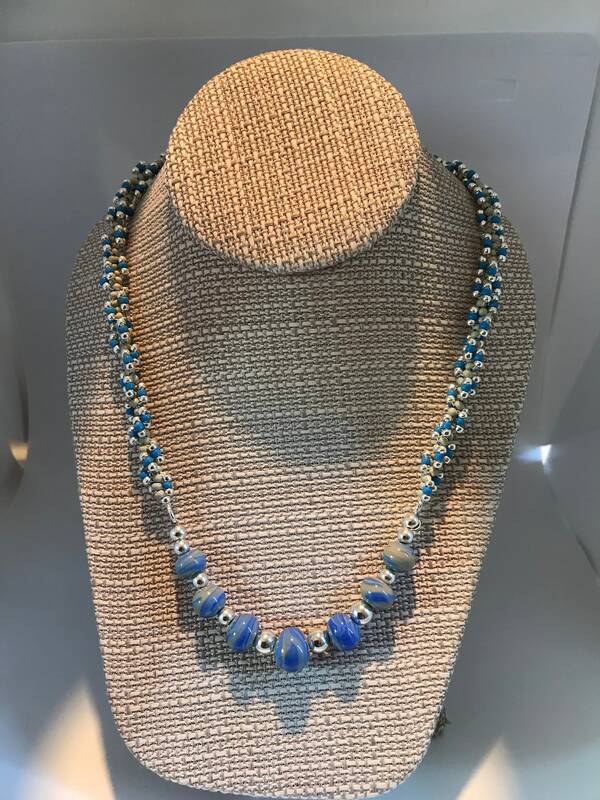 Cost is $70 for the 18 inch necklace.